Elizabeth Arnott had been working in human resources for more than a decade when a relationship she began in 2011 with her future husband, who has autism, signaled a turn in her career. After listening to him talk about the difficulties he had professionally, she saw a clear need for helping businesses accommodate employees with autism. “Listening to his experiences at work shone a light on how something needs to be done to advocate for these employees. They have amazing skills but don’t often fit into the social setting,” she says. Arnott is part of a growing movement of businesses and organizations that are addressing the needs of so-called “neurodiverse” employees, a catchall term that describes people on the wide spectrum of autism and includes people with dyslexia and attention deficit hyperactivity disorder. Big names in the corporate world have recently set up programs specifically to support neurodiverse employees. These include Intel, J.P.Morgan and SAP. In Newberg nonprofit Fidgetech, founded in 2016, aims to provide education and work opportunities for people on the autism spectrum. The organization recently partnered with Portland coding school Epicodus on a certificate program. Efforts toward accommodating neurodiversity in the workplace are part of the broader trend of businesses focusing more on creating equitable, diverse and inclusive workplaces. But there is undoubtedly increased public awareness of autism driving the neurodiversity movement. The number of people diagnosed with the condition has steadily increased over the years. In 2000 one in 150 children were identified with autism spectrum disorder; in 2014 one in 59 children were diagnosed, according to the Centers for Disease Control and Prevention. Tech companies have led the way in addressing the needs of neurodiverse employees; but other sectors are also going in this direction. Arnott recently coached a manager with autism who works in retail, for example. Statistics show that businesses still have a long way to go to accommodate neurodiverse employees. High unemployment estimates for people with autism suggest on the whole that they are not well integrated into the workforce. Of the 35% of young adults with autism who finish a college degree, for example, 85% are unemployed, says Arnott. New Relic is one Portland tech company that is making an effort to be more accommodating to its neurodiverse employees. The company trains managers who oversee employees with the condition. It also brought in a consultant to help coach staff. New Relic software engineer Alexa Stefanko, who has autism, applied for around 150 jobs in her last semester of college before she landed a position at New Relic. It was the only business she found that “was up-front, with company values of equity, diversity and inclusion,” she says. Stefanko’s manager, Sharr Creeden, who joined the company seven months ago, is overseeing an autistic employee for the first time. She says she had to adapt her management style specifically to Stefanko. Because nobody with autism experiences the condition in the same way, any management technique has to be tailored to individual employees. Creeden says she had to check her assumptions about how Stefanko was receiving feedback, which is often different to how a neurotypical employee would receive it. "I have to set expectations clearly. I am trying to be more direct and to the point." This kind of big-picture view is, of course, useful to businesses. Tech companies seek to create products that appeal to everyone, and they need diverse employees to achieve this. “It is important when you are building complex systems that you don’t have everyone having the same experience. That would make it a one-sided system,” says Creeden. Kristy Friedrichs, chief people officer at New Relic, says the company does not have a formal hiring strategy for neurodiverse candidates. It tries instead to make its employee-selection process more accessible so that its brand aligns with its equity, diversity and inclusion mission. New Relic recently hired a new equity, diversity and inclusion manager. It may formalize programs for neurodiverse employees in the future, such as creating mentors for neurodiverse employees who have autism themselves, she says. Creating role models for employees with autism is still an area the business community at large needs to work on. 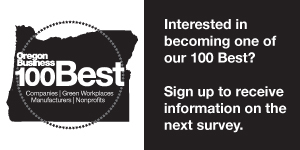 To subscribe to Oregon Business click here.